A friend of mine can always be trusted to serve delectable meals, beautifully presented. 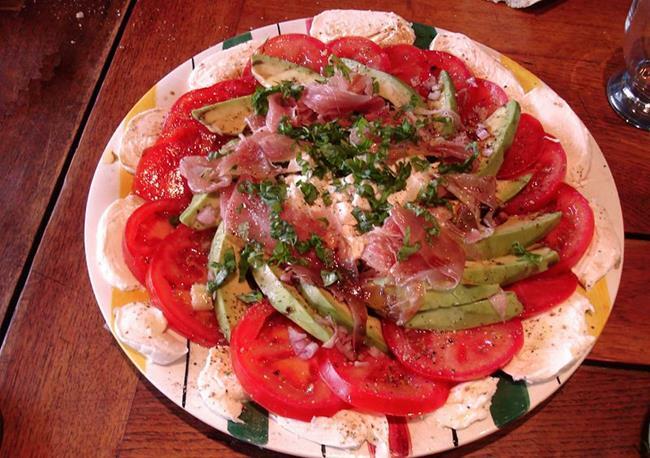 This salad was no exception: to a classic Caprese salad, with just-picked tomatoes and herbs and fresh mozzarella, she added avocado and paper-thin slices of prosciutto. The resulting plate was a feast for the eyes and the taste buds. Taken with a Sony X5 digital camera. Minimal color correction.